RATHER wonderfully we live in an era where there are hot hatches, and, well, ballistic hatches. But to join the party you don't need to spend the $80,000 Audi asks for its RS3 or Mercedes its A45 AMG. 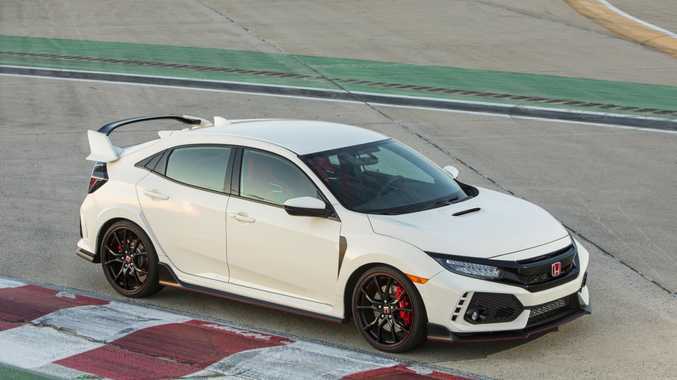 For just a few pairs of shoes over $50k you have your pick of five-door Nurburgring slayers, with the latest player arriving in the rather angular giant-winged shape of Honda's Civic Type R.
Entry to the club? 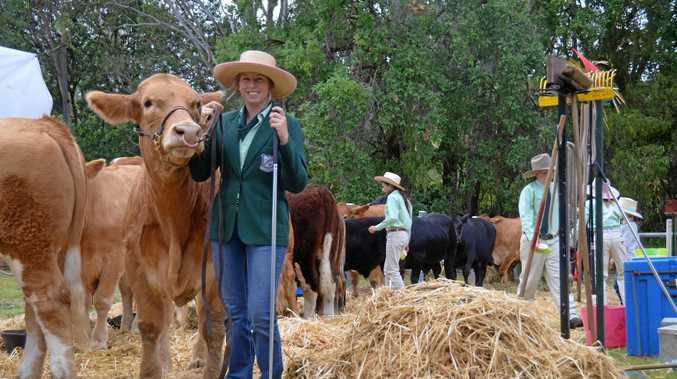 Just $50,990 before on road costs. That buys you a 228kW/400Nm turbocharged 2.0-litre engine, track-ready chassis hardware and a chunky list of standard inclusions. That $50,990 matches the Type R's hugely competent Ford Focus RS rival, and undercuts the no doubt sublime $52,990 Volkswagen Golf R 7.5 which is due next month. Both the Ford and VW are all-wheel-drive offerings, while the hot Honda sends its fun through the fronts only. As a true driver's car the Type R comes with a proper gearbox in the shape of a six-speed manual. It's three pedals or nothing: no conventional auto or fun-sapping CVT (as found in normal Civics) to be found. The only thing purists may frown upon is the manual transmission's rev matching function, meaning there's no need to show off with a perfectly executed heel-toe downshift: a computer does it for you. But what a chassis we have on offer here. 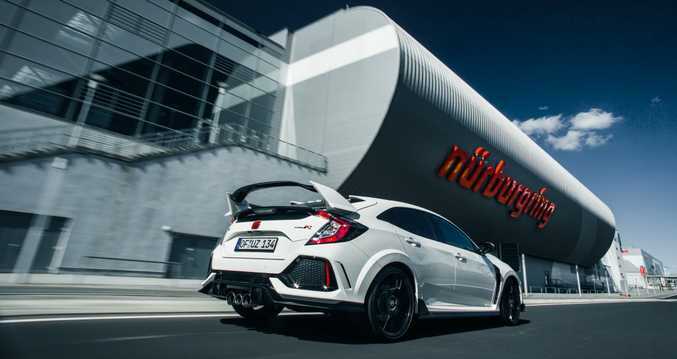 A Civic Type R claimed the front-wheel-drive Nurburgring lap record in April (beating a track-special VW Golf GTI Clubsport S with a 1min 43.8sec lap) thanks to some trick kit. Buyers score adaptive dampers with three driving modes ("+R" setting is what you need for your best 'Ring time, kids), a mighty Brembo brake package behind 20-inch wheels, helical limited-slip front differential and model-specific suspension optimised for at-the-limit cornering, stability and reduced torque steer. 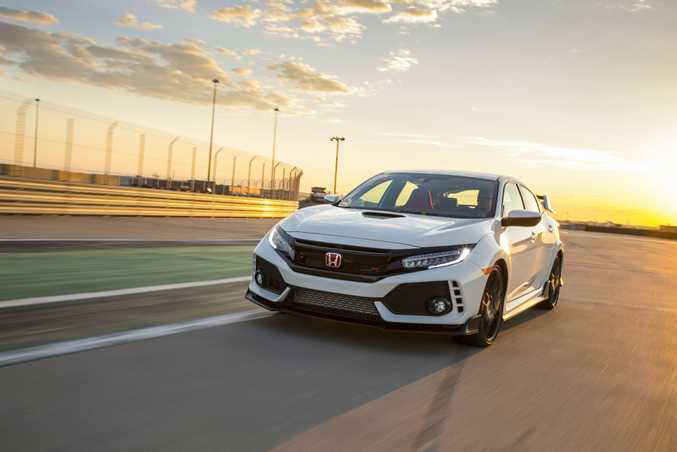 As few Type R buyers will be race track bound every weekend, sensible inclusions such as a Comfort drive mode, seven-inch screen, Apple CarPlay/Android Auto and smart entry come as standard. Plus there's a safety suite including autonomous emergency braking, LaneWatch and adaptive cruise control. In the cabin you score Honda's lightest ever Type R specification sports seats trimmed in grippy suede-effect fabric, plus a machined alloy gear knob. And this being a Type R there are flashes of red accenting throughout plus a unique serial plate number. There is only one specification of Type R from launch, so your only optional extra is the paint. Hero colour is Championship White, but there's also pearlescent black and grey or metallic blue, each costing an extra $575. A flat Rally Red paint is your free option. Order books for the Civic Type R opened in May ahead of its October launch, with 250 customer orders already taken, plus 5000 further registered expressions of interest. 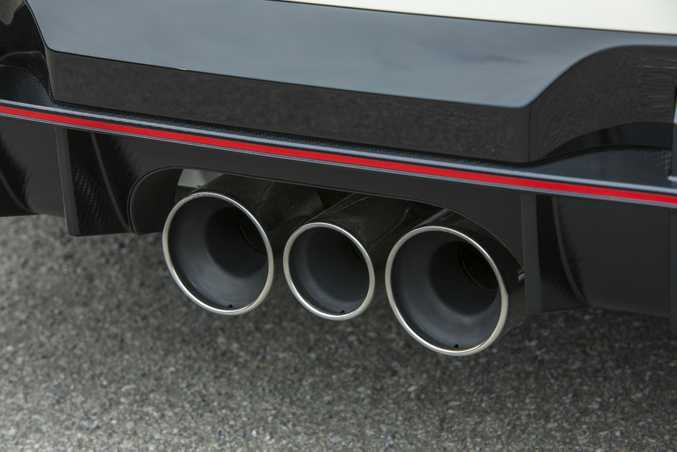 Australia missed out on the previous generation Civic Type R, and it appears a hungry buying public is preparing for a very special Honda hot hatch treat indeed later this year.